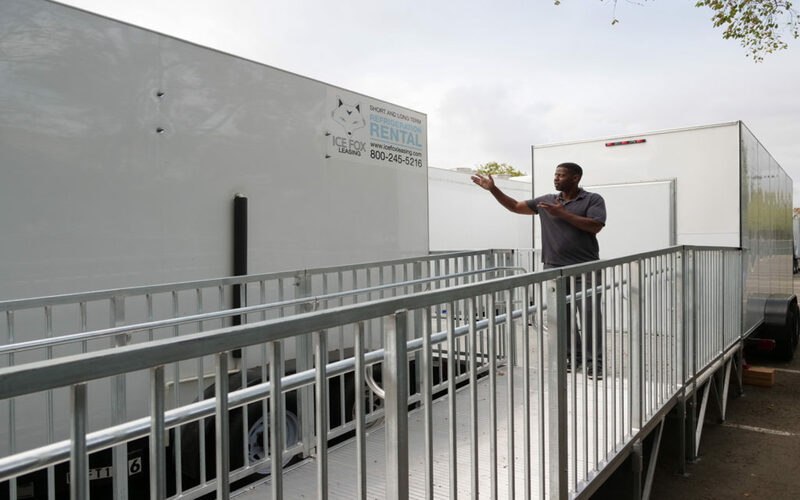 In our goal to provide 100% convenience to our customers, we offer ramp rentals that are ADA approved and Occupation of Safety and Hazard (OSHA) compliant. This means that each of our ramps are certified and passed the highest safety standard in the US. This ramps are non-slip aluminum and designed to address all legal slope issues. According to OSHA, it is best to provide handrails, common landings and ramps to minimize potential hazards. 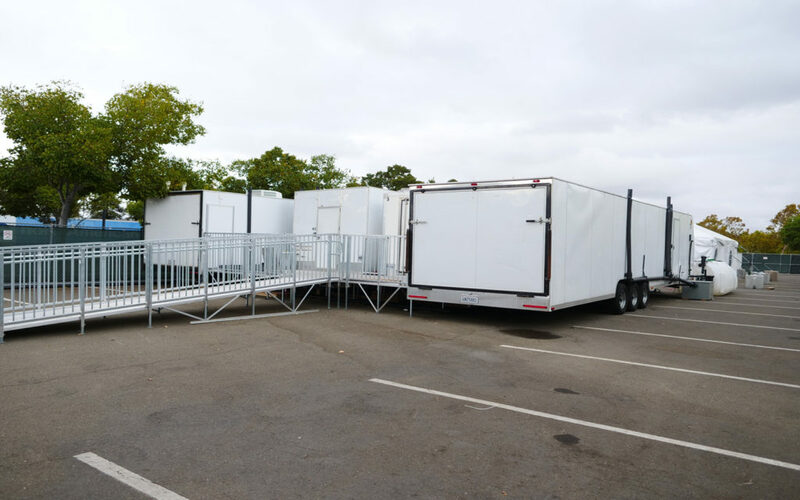 We offer many different options when building facility ramp rentals. 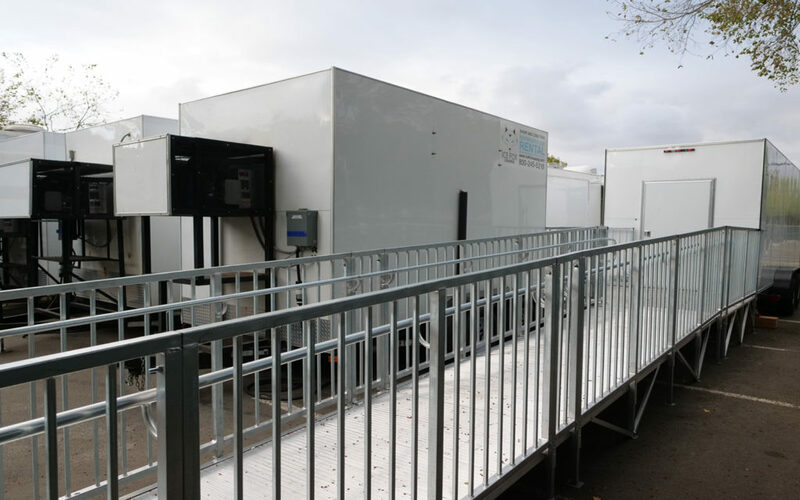 The ramps come in sectional pieces and can be used for state and local government buildings, modular kitchen facilities, privately owned public accommodations, commercial kitchen facilities, refrigeration trailers, dishwashing trailers and our own mobile kitchens. Ramp sections come in 4ft x 7ft sections and can be put together in any size or shape. ADA promotes handicap accessibility for many in our community and our steele and metal ramps are able to meet these needs.